What thug cop Gary Steele did should be considered as attempted murder. 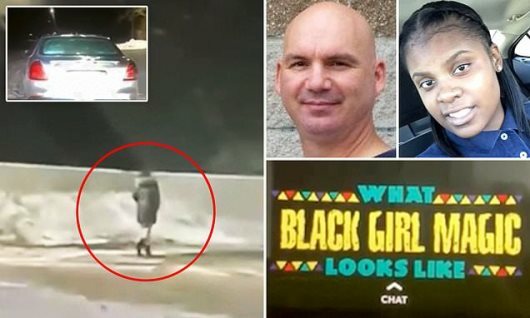 AFRICANGLOBE – A Detroit police officer is under fire for a racist Snapchat video of a Black woman he pulled over for a traffic stop. Steele then told her to exit the vehicle so the vehicle could be towed. She declined a ride home from the officers and had to walk a block home in below-freezing weather. Steele has been placed on restricted duty, pending an internal investigation.